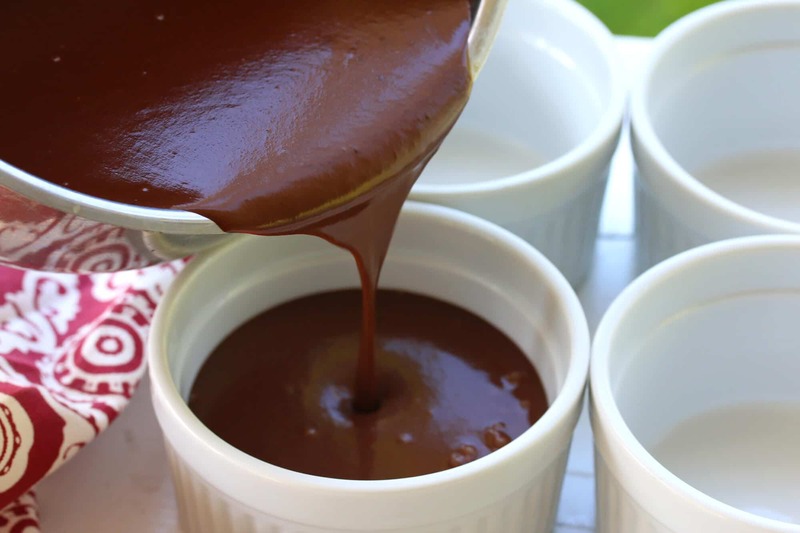 I first introduced you to my Easy Chocolate Pots de Crème in early 2015 and it has remained our favorite chocolate dessert since. It’s the sweet treat my husband requests the most and is always a hit with our guests. We’ve gotten many emails from our readers echoing the same sentiment. I recently had a faaaaaabulous bar of chocolate spiked with red hot chili pepper and with Cinco de Mayo coming up it got me thinking: Why not give our favorite French chocolate dessert a Mexican twist? 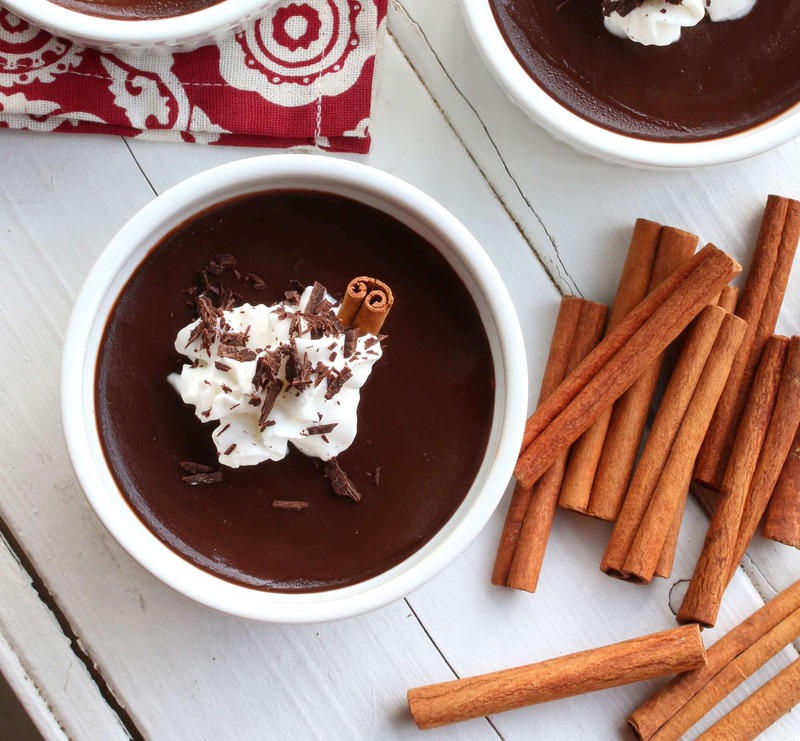 And so these Easy Mexican Chocolate Pots de Crème were born. Laced with a touch of red chili pepper and hint of cinnamon, the flavors will very subtly linger on your palate and give the chocolate a wonderful and mysterious depth. These pots de creme are super easy to make, take about 5 minutes of prep time, and are sure to make your taste buds sing! Plus they have no added sugar beyond what is in the dark chocolate – double score! You only need a few ingredients but you want to make sure they’re top quality. Use your favorite chocolate. 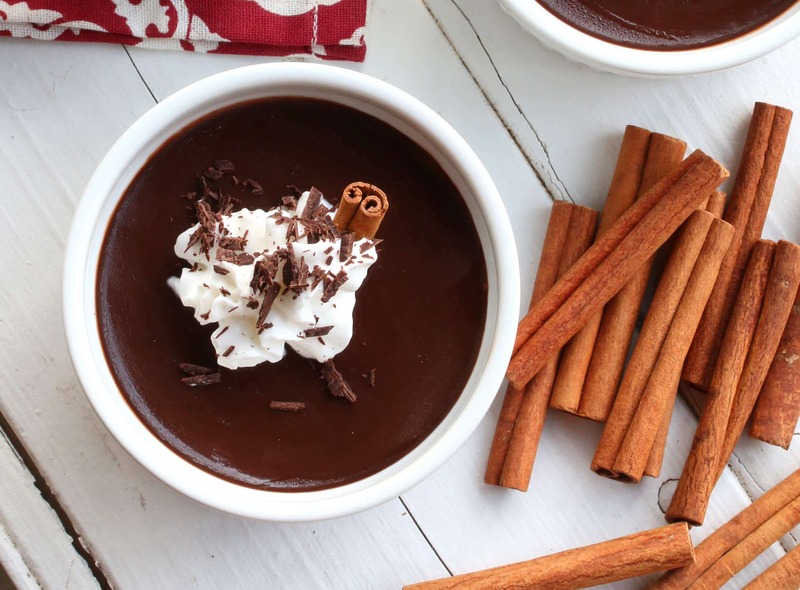 Traditionally pot de crème calls for dark chocolate, which pairs especially well with chili and cinnamon and that’s what we also recommend. Trust me, even if you’re generally not a dark chocolate fan (I myself prefer milk chocolate), you will LOVE pot de crème. Just trust me on this. Use quality cinnamon (I like Saigon) and pure Mexican vanilla extract. 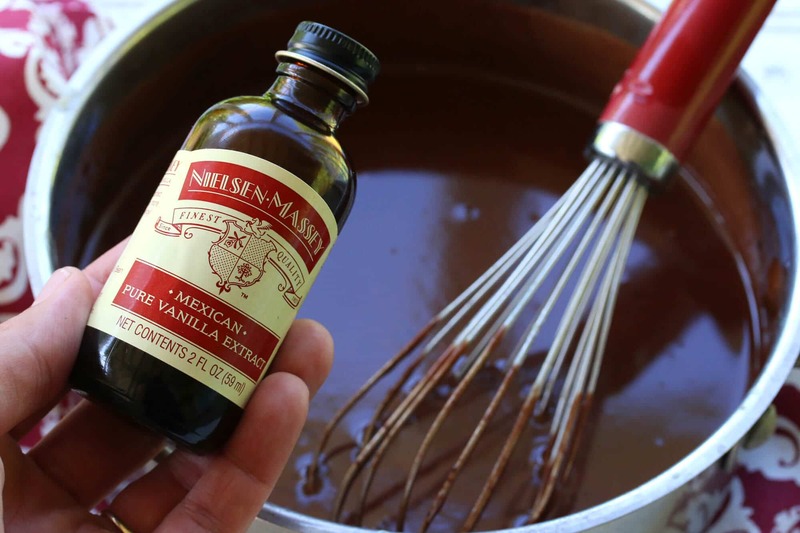 Mexican vanilla beans have a wonderfully rich, spicy and woody fragrance and flavor. 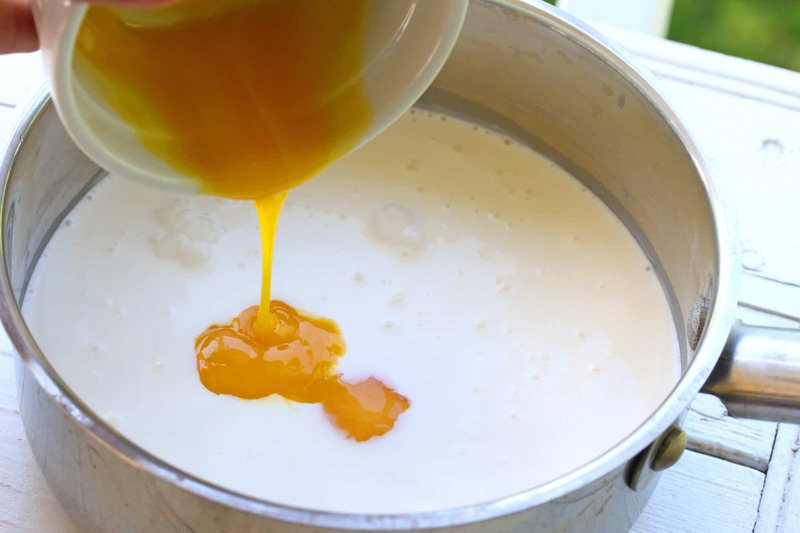 Place the heavy cream in a medium saucepan over medium heat and add the egg yolks. Add the salt, cinnamon and red chili pepper and whisk to combine, whisking continually as the liquid begins to just barely bubble. DO NOT BRING TO A BOIL. It’s ready when the consistency is just thick enough to coat the back of a spoon. 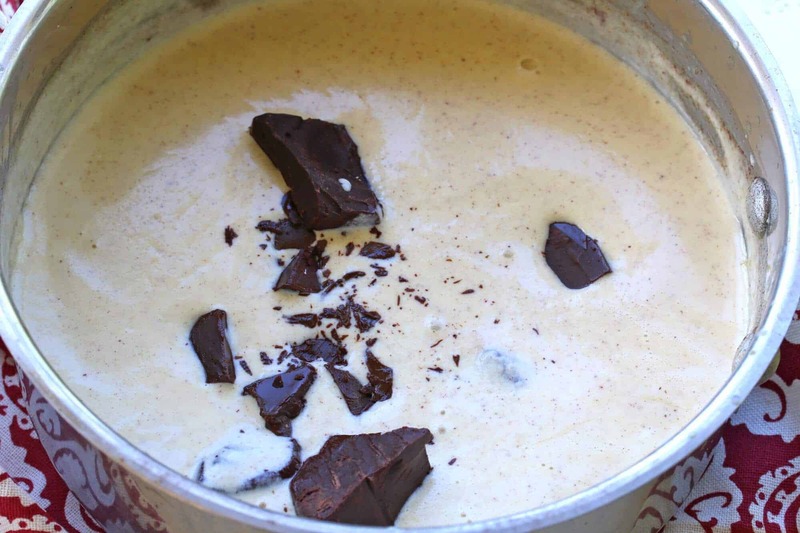 Turn off the heat and add the chocolate to the hot custard. Add the Mexican vanilla extract and whisk to combine. Pour the hot chocolate mixture into the serving ramekins. Place some plastic wrap on top, gently pressing it down on the surface of the chocolate to prevent a film from forming while it chills. Refrigerate for 6-8 hours or until set (I often chill them overnight). For a softer consistency, let them sit for 10-15 minutes at room temperature before serving. Serve with whipped cream sprinkled with chocolate shavings and a half cinnamon stick. This classic French dessert gets a slight Mexican makeover! Chop up the chocolate and place it in a blender. Set aside. 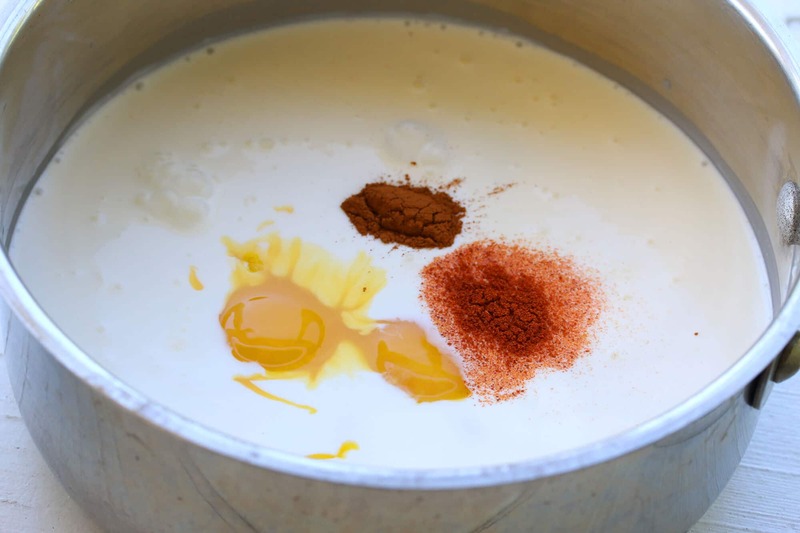 Place the cream, egg yolks, salt, ground red chili pepper and cinnamon in a medium saucepan over medium heat, whisking to combine the ingredients. Continue to whisk continually until the mixture just starts to bubble and is thick enough to coat the back of a spoon. DO NOT BOIL. Stir in the vanilla extract. 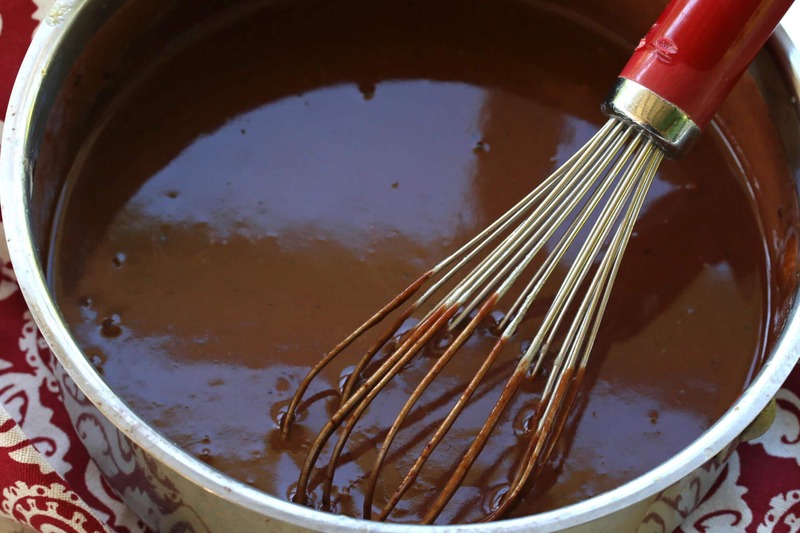 Pour the hot mixture into the blender with the chocolate and blend until smooth. Pour the mixture into four individual ramekins and refrigerate for 6-8 hours or until set (I often chill them overnight). 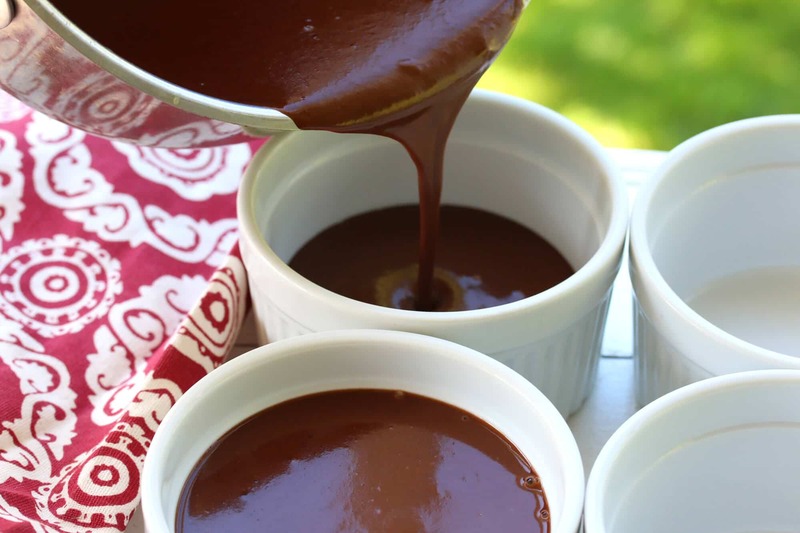 For a softer consistency, let the pots de creme sit at room temperature for about 10-15 minutes before serving. Serve with a dollop of whipped cream sprinkled with chocolate shavings and a half cinnamon stick. 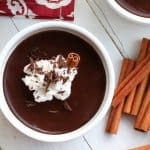 I have a similar recipe as this, you can never go wrong with chili and cinnamon in your chocolate. These look heavenly. 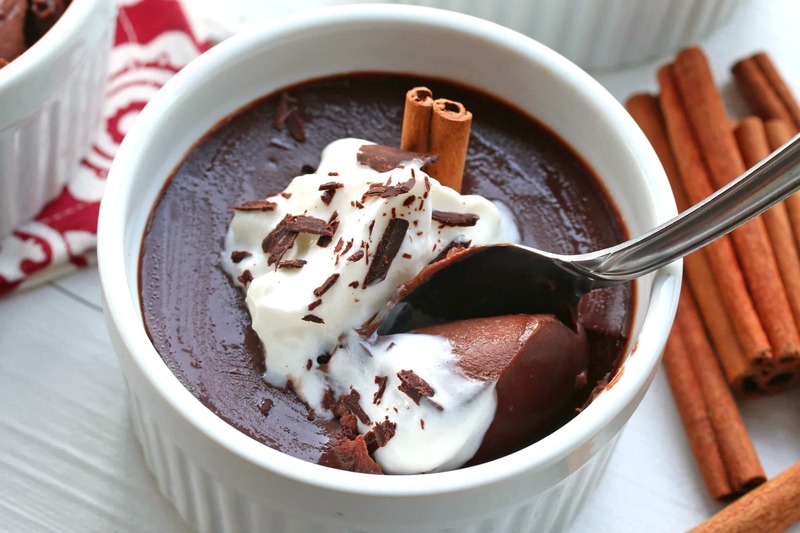 This is the perfect dessert for me since I love those bars of chili chocolate! What a delicious little treat! I’m all for chocolate & spice! What a perfect chocolate dessert! So easy and to think I have never made this kind of dessert, my husband would love it as well, he loves his chocolate dearly. I love the chili inside. So good! Love that you can make individual portions! No added sugar and easy to make?! Count me in! You’re killing me. This looks so rich and amazing. Mm this is my dream dessert!! 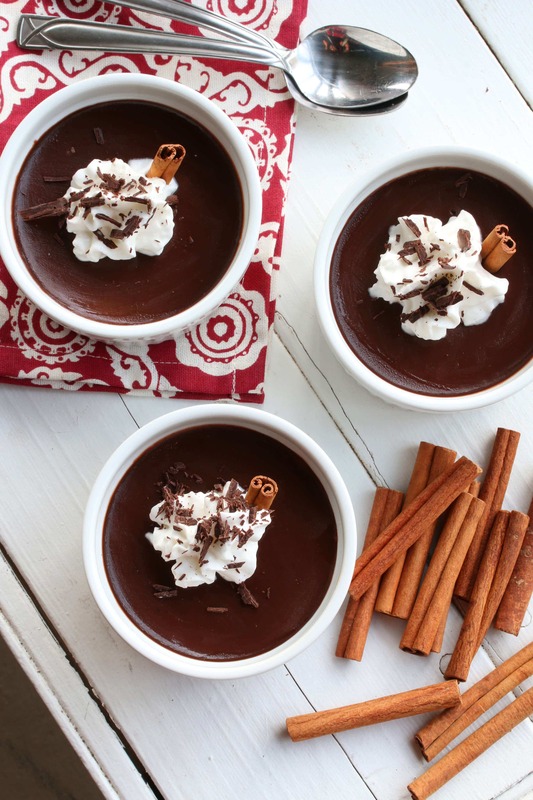 That little hit of red chili powder is just enough to elevate these pots de creme to the next level! In the pic the egg yolks look beaten but the directions don’t mention whether they should be whole or beaten. To beat or not to beat? BTW, this looks absolutely divine!! Thanks, Judy! No they’re not beaten, just add the egg yolks whole and then whisk them in the cream. Mexican chocolate is the best… and these look so delicious!! This looks beautiful! I love pots de creme! I can only imagine how good these taste. 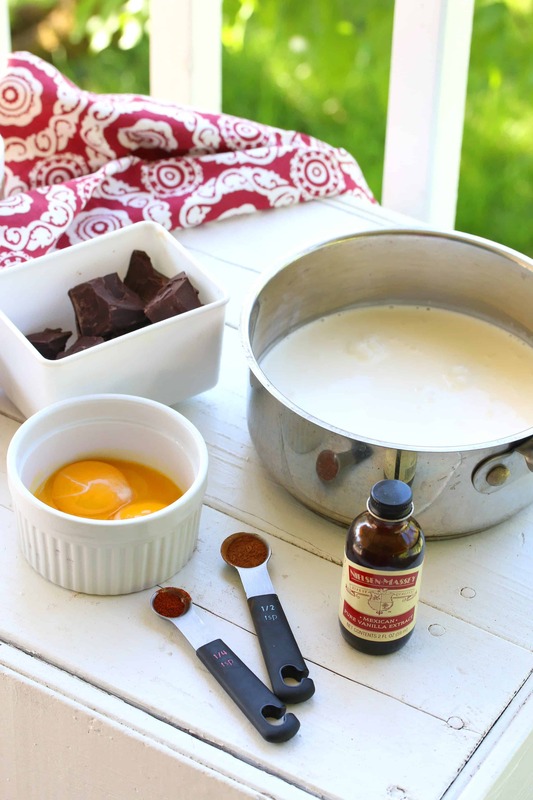 I can’t believe I have actually never made pots de creme! I love the step by step pictures :-). I love a rich pot de crème! Making this soon! Hi Trish, they’ll keep for a few days. I’ve kept them for 3-4 days before.